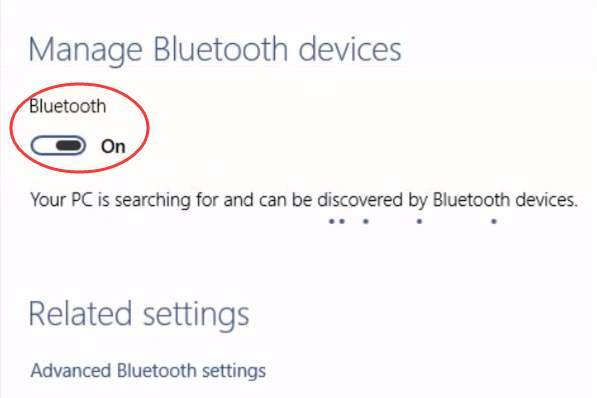 Windows 10 users have been complaining that they are unable to turn off the Bluetooth connection even when they don’t want to use their Bluetooth devices, for instance, when they are in a neighborhood where there are so many Bluetooth devices detected. They cannot see the toggle switch (circled out in the screenshot) in Bluetooth device setting. The reason why this is happening is that Microsoft seems to have an odd logic. It will recognize laptops with battery on is the mobile devices, thus with the Bluetooth device toggle available and easy to access. But if you are with a desktop, or sometimes, an all-in-one, chances are Windows 10 will not see your computer as a mobile device, thus it will not let you have access to the Bluetooth devices management panel. Luckily, this is not a difficult question to solve, not at all. Follow the options below to fix your problem fast and easily! 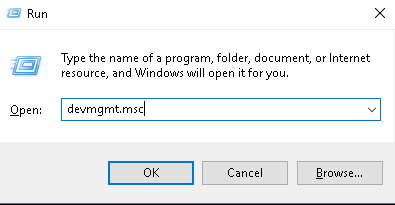 1) Open Device Manager by pressing Windows key and R at the same time. Then type in devmgmt.msc and hit Enter. 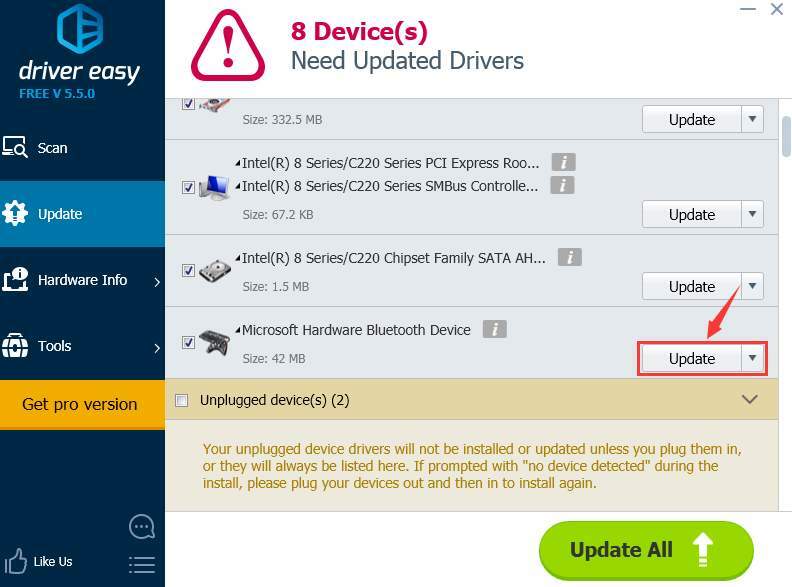 2) In Device Manager, expand category Bluetooth, then right click the Bluetooth device that you want to temporarily disconnect and choose Disable. 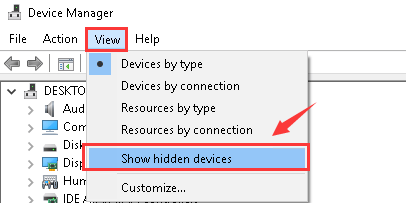 If you cannot see all of your Bluetooth devices, please click the View button and then select Show hidden devices. Please note that the name of your Bluetooth device could be different from mine, which is very natural and normal. If you have multiple Bluetooth devices, you might see other options here. The procedure is the same, just right click them and Disable them. 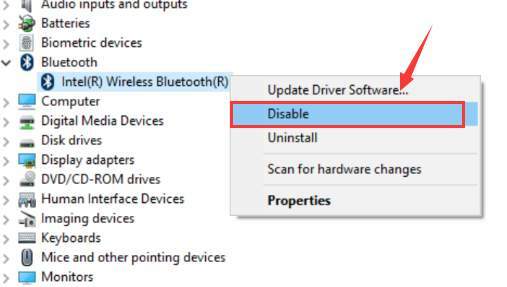 If the steps above don’t resolve your Bluetooth problem in Windows 10, it may be caused by a device driver. Note: In this option, we will be making some changes to the Registry. Before doing that, it is very important for you to backup the registry first, just in case any unwanted error happens. 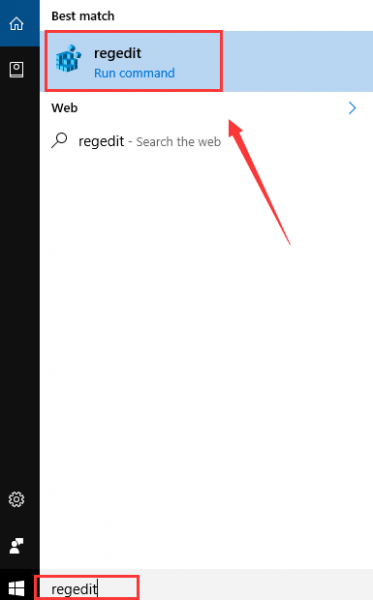 1) Type regedit in the search box and then choose regedit Run command from the list of choice. 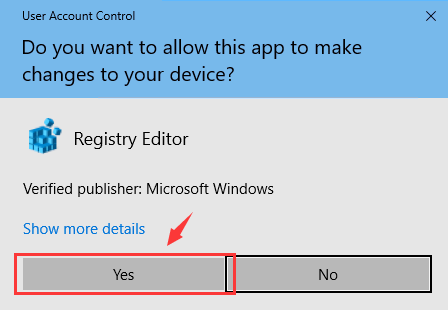 When prompted for administrator permission, just click Yes to continue. 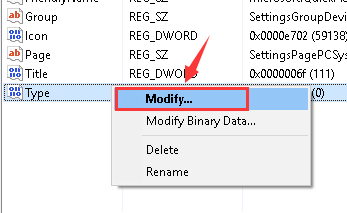 3) On the right pane, locate and right click the file with the name Type and choose Modify. 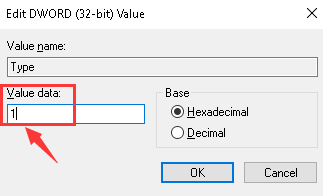 4) Then change the Value data from 0 to 1. Then hit OK to save and exit. 5) Restart your computer after the change.